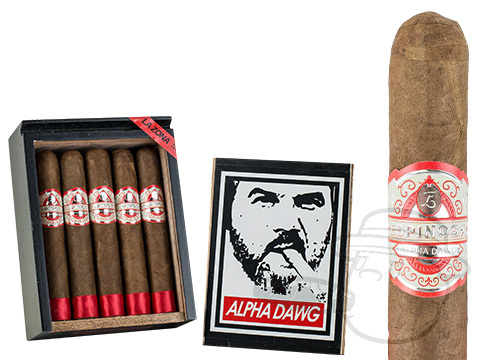 Handmade at Erik Espinosa’s acclaimed La Zona factory in Esteli, the mighty Alpha Dawg is all bold and no bite. 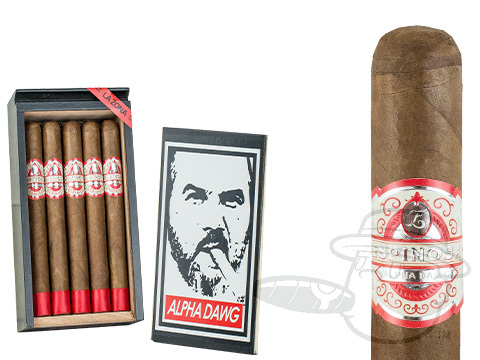 These full-bodied Nicaraguan puros wrapped in a Habano Rosado Oscuro wrapper leaf offer a complex array of lush notes - earth, spice, coffee, and cocoa bean rush the palate in every satisfying draw. In case you were in doubt as to whether or not Mr. Espinosa stands behind this brilliant boutique brand, his menacing mug is plastered on both the inside and outside of every 10-count box. Pick up a batch of these immaculately crafted premiums now, and expect them to be great. Your expectations will be exceeded.